We will premiere the latest release of our cutting-edge packaging design software – Impact CAD 2018 – at Scandinavia’s leading packaging exhibition ScanPack 2018. Created by packaging designers for packaging designers, Impact CAD incorporates everything you need through one integrated product – perfect for brand owners, designers and die-makers alike. The latest release delivers a suite of new features including a plug-in for Adobe Illustrator, extending Impact’s graphic workflow capabilities. We have also teamed up with Hybrid Software to integrate Impact with Hybrid’s professional editing software – PACKZ – which the team will be demonstrating at ScanPack for the first time. Stefan Andersson, Arden Software’s Area Manager for the Nordic Region, said: “ScanPack is Northern Europe’s number one packaging exhibition, so we are thrilled to premiere the newest version of our Impact CAD software at such a prestigious event. 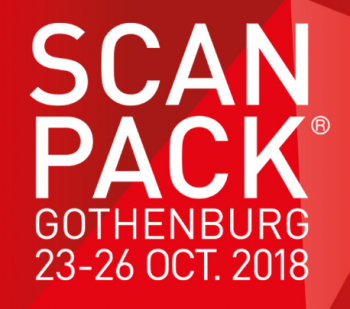 ScanPack takes place from 23 – 26 October in Gothenburg, Sweden, and will bring together exhibitors from all over the world to showcase the latest innovations in the packaging sector. Visitors to the Arden and Hybrid stand at ScanPack can look forward to product demonstrations, as well as information about Arden’s other leading software – Impact Enterprise and WEBcnx.